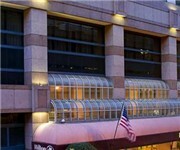 Hilton San Francisco is a free wifi hotel / motel / resort located in San Francisco CA. "The Hilton does NOT have free wi-fi. It's $7/hr in the lobby, or $15/day in your room for wired ethernet. How Would You Rate Hilton San Francisco?